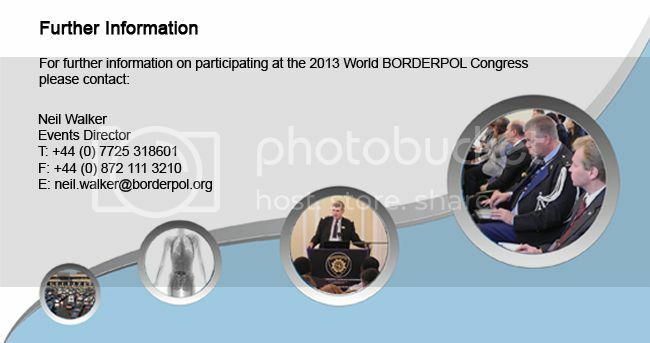 BORDERPOL, the world’s organisation for border management, security and migration management, will be hosting the 2nd World BORDERPOL Congress on 3rd and 4th December 2013 in London, UK. A high level conference delivering discussions and debate on policies, implementation and technology that contributes towards successful border management and security. 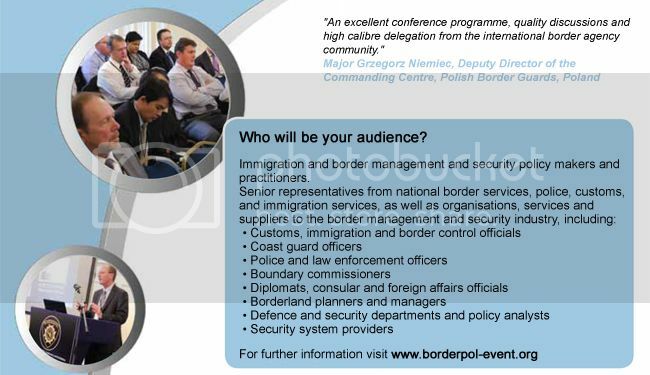 The BORDERPOL Annual Conference is a high level 2 day event that will discuss and debate current and future policies, implementation issues and challenges as well as new and developing technologies that contribute towards safe and secure border and migration management. The World BORDERPOL Congress Advisory Committee are inviting abstracts for consideration for inclusion in the conference. If you are interested, you are invited to submit your abstract for consideration by the conference committee by submitting an abstract of approx 100 words. Your presentation should not be overtly commercial in nature.